Over 288 holidays made happy and hopeful. 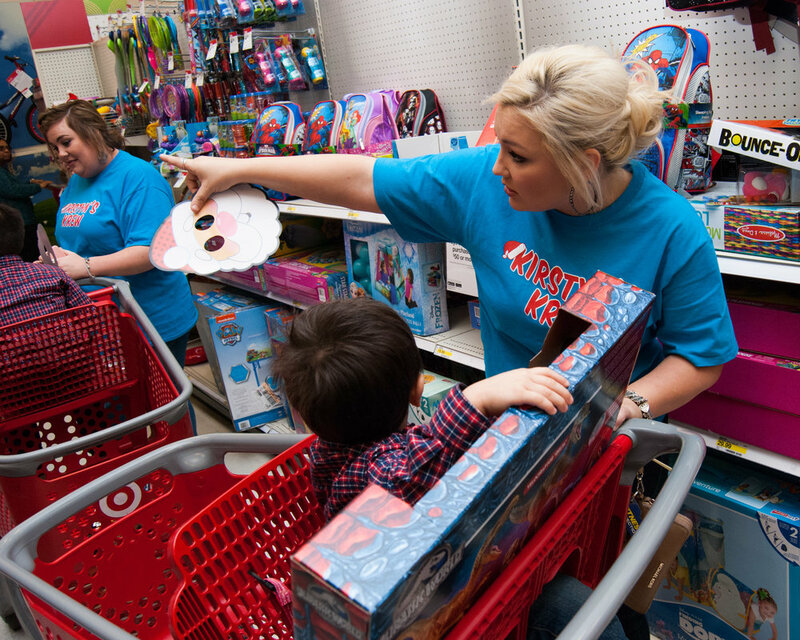 18 Hurricane Harvey families treated to Christmas. Each year we reCEive donations from all of our generous contributors. 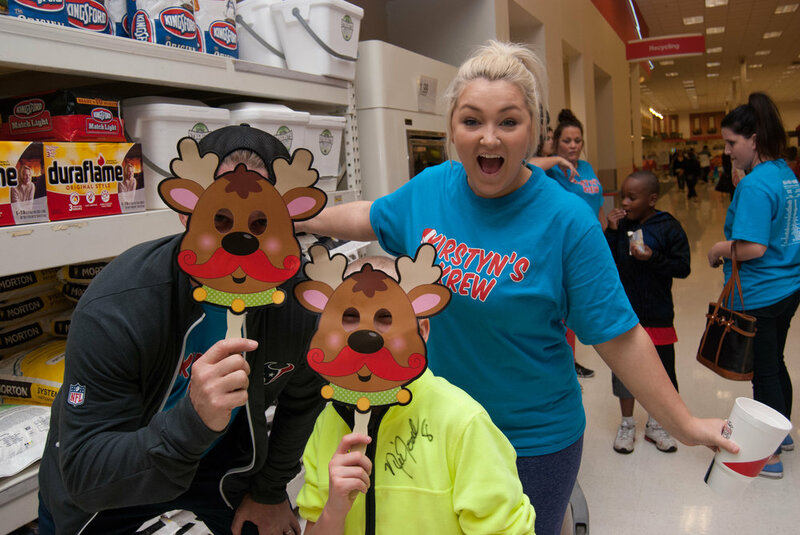 We do our very best to reach our goal and bring joy to as many children as possible. to complete one CHILD'S' wishlist it takes $200. Once december rolls around, we will organize our shopping trips. the first year we only had one, but now we are up to four or more trips! 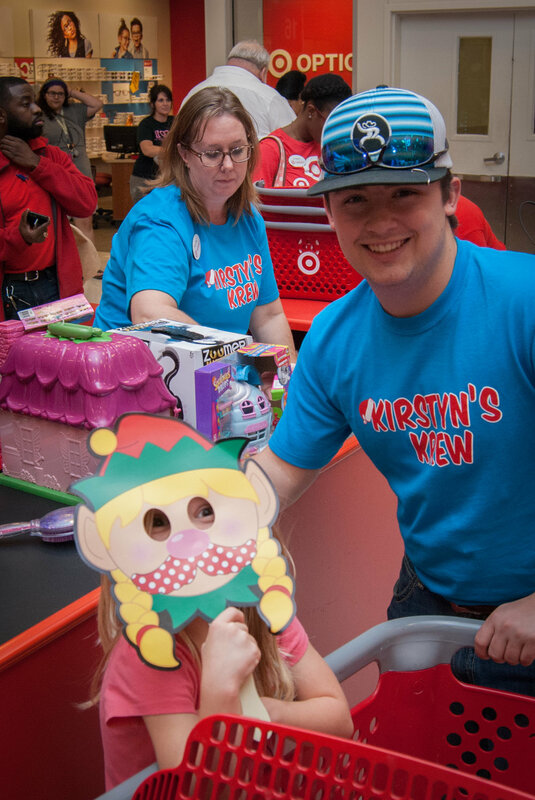 our krew members are paired up with each child and assists them throughout the store to let them purchase their christmas. 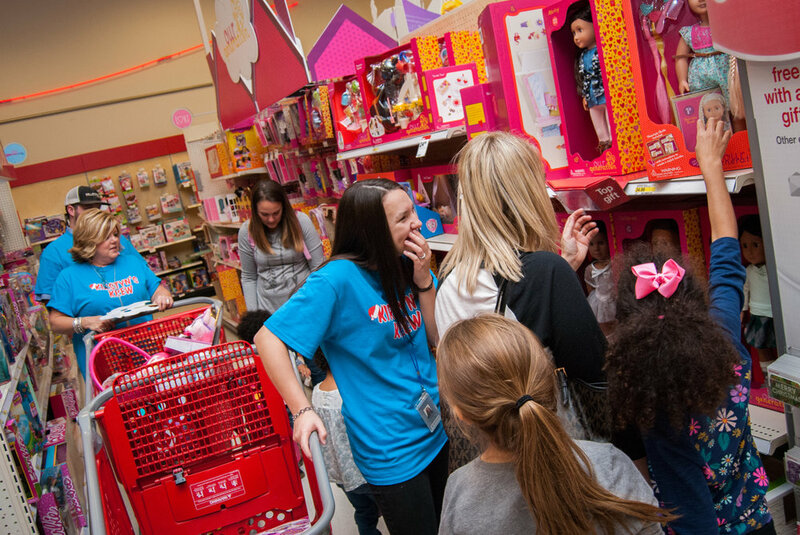 all of our krew members are wonderful volunteers and make each trip special! Kirstyn was 10 years old when she founded Kirstyn's Krew. 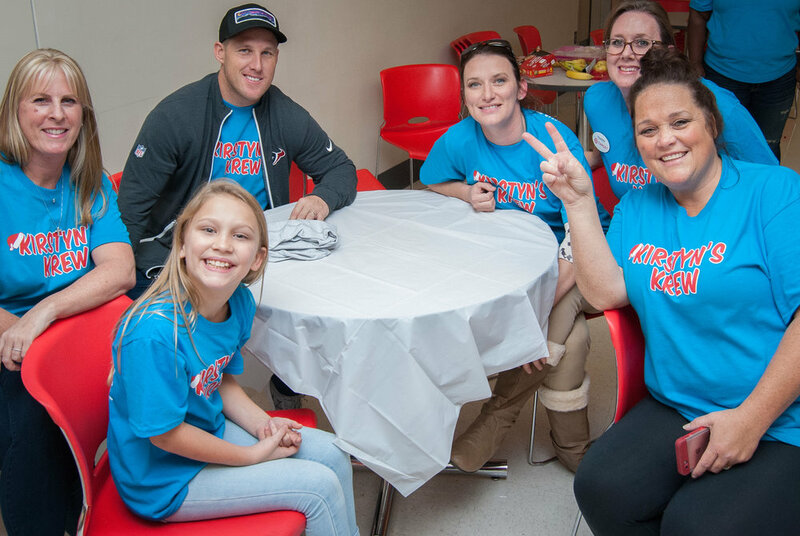 As a child that has spent time in the foster care system, she wanted to reach out and help children in the same way that Houston Texan player Jon Weeks and his wife Amanda had helped her.